The term ‘smart’ has been trending for quite some time now and will continue to do so in the foreseeable future till it gets prefixed to a whole lot of other objects. For now, smart cities, smart homes and smart cars are getting all the limelight while smartphones and smart TVs are already a way of life. With today’s digital communication and networking trend on the basis of IoT or internet of things solutions, different objects, devices and peripherals are interfacing and communicating with each other. Vending machines are one category of equipment that absorbs this technology during customer interface using internet-enabled data collection software. Vending machines have been around for over a century now and the scope of their application has received a further boost in the online economy. As cashless payments are gaining popularity, people are using various methods to make such payments for their transactions in the vending machines. Basically, all the things that you do at a brick and mortar shop are being enabled on the vending machine itself through machine learning technologies that map consumer behavior. Paying cash into a vending machine to buy a product is just a basic function. Depending on where a vending machine is located, the amount of consumer data on the machine will differ. The most advanced vending machines today are powered by the internet of things solutions that help the machines record the buying patterns and trading history of customers. With that kind of data at your disposal, you get ever closer to the buying impulses of your customers and can make those vital additions to your inventory. To optimize your customer outreach, you will require the machines to interact with their mobile devices in order to customize their specific requirements. 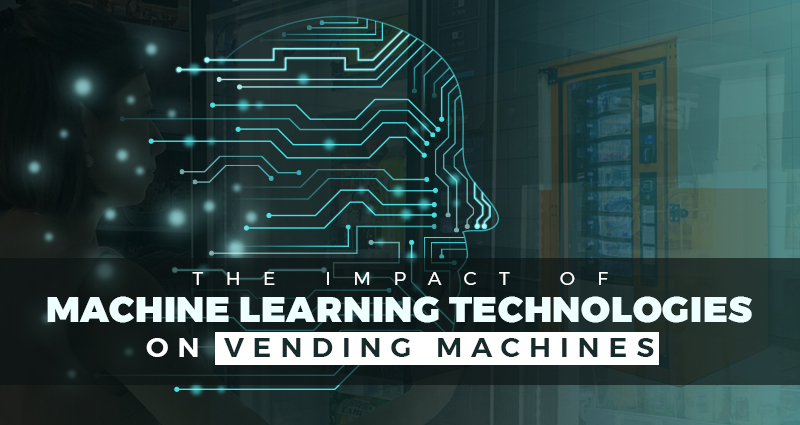 The improvements in vending machine technology is progressing quite fast with robotics and machine learning technologies working in sync with each other through Cloud integration. They are embedded with highly advanced algorithms that allow them to scale up their ability to recommend additions and changes in a vending machine’s inventory to serve customers better. Many vending machines allow their users to access them through their mobile devices by logging in with their social media accounts and fingerprints among other methods. Rodrigo Bentancor on How is Artificial Intelligence different from Machine Learning and Deep Learning?